That was quick — the Gear S3 is already sold out. It's still available from other sellers, but not for $200. It's back in stock from Amazon, and has returned to $199.99. Just as before, remember to click the Coupon button below the price. 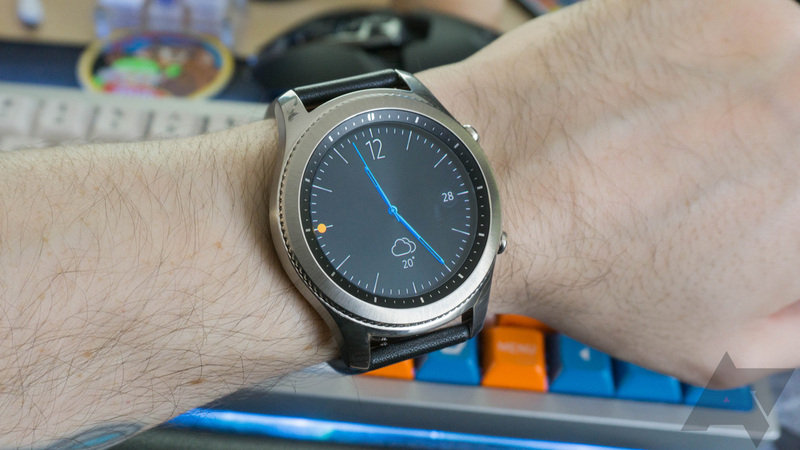 The Gear S3 Frontier has a large 2.76-inch circular screen, a rotating bezel for navigating apps, a 380mAh battery, and Samsung's proprietary Tizen OS. The band is 23mm wide, and you can replace it with any standard 23mm band. It also has a heart rate sensor for limited health tracking, and Samsung Pay is supported. In addition to NFC payments, the Gear S3 includes MST, so you can pay at almost any store with magstripe card readers. All of Samsung's current watches lack this feature. Our full review of the Gear S3 is here, but keep in mind that the Tizen OS has received several significant updates since that was published. 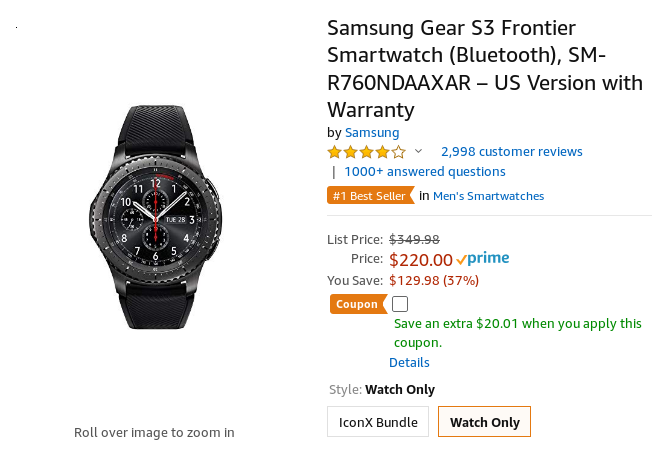 You can buy the Gear S3 Frontier from the link below. Make sure to click the coupon button to get the full discount.